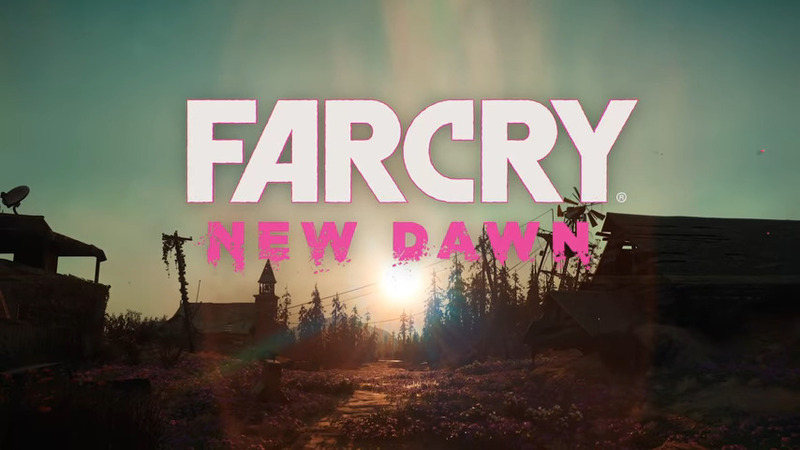 With a surprise teaser trailer earlier this week, the folks at Ubisoft have officially unveiled the newest upcoming entry in the Far Cry series, Far Cry New Dawn. New Dawn looks to take place after the events of Far Cry 5 where nuclear devastation fell upon Hope County. The Far Cry universe has explored tropical islands to the wilds of Africa, even the primal days of the Mesolithic era, and now for the first time players will explore the Far Cry universe in a post-apocalyptic, nuclear-ravaged world. Ubisoft’s first-person shooter appears to star twin sisters 17 years after the bombs fell as players scavenge the world fighting for their place to fit in. There’s a new natural order to society, and the old ways don’t seem to work for the new world any longer. All of the usual features that Far Cry fans are familiar with seem to be making a comeback to the series, such as a variety of land and aerial vehicles, companions including a beloved canine friend, and plenty of gun-toting enemies in the form of post-apocalyptic raiders. Far Cry New Dawn is hitting stores pretty soon with a February 15, 2019 release date on the PS4 and Xbox One. Stay tuned for more details on Far Cry New Dawn as we get closer to its release.